• Complimentary towel use & bottled water with every visit. 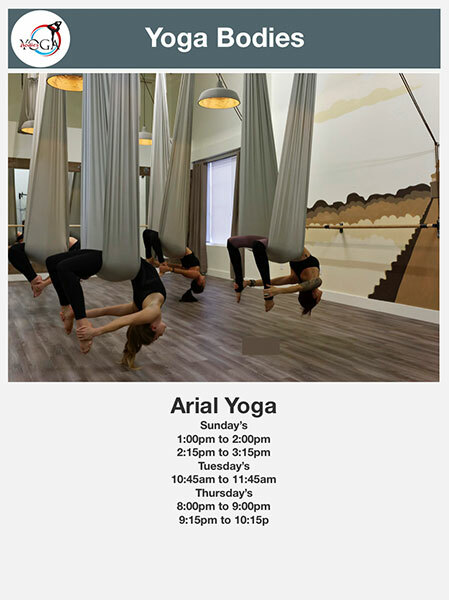 • Receive 3 Free Aerial Yoga Passes. • Complimentary yoga mat use, towel use & bottled water.